The biggest turboprop aircraft in the world the AN-22 Antei has completed its renewal programme and performed its first commercial flight from Zurich, Switzerland, to Abu-Dhabi, UAE on 10th of September, 2016. The AN-22 carried a coil reel for charterer Karpeles/DB Schenker on behalf of shipper Hyundai. Engineers of ANTONOV Company designed a special transport frame to distribute the concentrated load of the 31.5 t coil over the aircraft floor. The coil’s dimensions (461х352х417 cm) meant it was possible to load only in the AN-22, AN-124-100 or AN-225 aircraft types. The AN-22 was by far the most economical solution. The aircraft made a refuel stop in Tbilisi, Georgia enroute to Abu-Dhabi. ANTONOV AIRLINES performed the required air shipment smoothly and in accordance with the schedule requested by the customer. “That was an important flight for us as it not only satisfied our customer but also announces the re-entry of the unique AN-22 Antei aircraft into the commercial market. Antonov Airlines is ready to perform new flights for the delivery of oversize and heavy cargoes around the world, proposing the logistics solutions to our customers worldwide on basis of the AN-124-100, the An-225 and now the AN-22 Antei aircraft” commented Konstantin Lushakov, Executive Director. The AN-22 Antei was the first wide-body freighter, which opened a new era in world aviation. Demonstration of this aircraft at the Paris Air Show in 1965 became a world sensation. Antei has proved its high reliability whilst operating under extreme conditions in Siberia and in Africa. 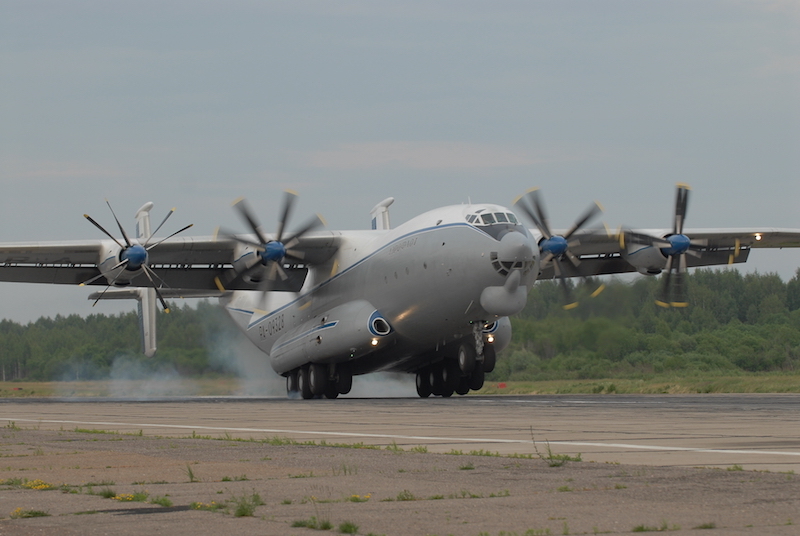 The AN-22 has set 41 world records. This current AN-22 airframe was constructed in 1974 and performed commercial flights until 2009. During that time it flew worldwide. ANTONOV Company completed renewal work on this AN-22 frame in August 2016.